Last edited by gabebauman; 04/29/2009 at 11:58 AM. Yes...We got Newton back for another event so it was an obvious decision to run at Newton. That lot is way bigger. Pre-register now...we charge an extra $5 for day of entry now. Hey Ricky...I suggest you change your number to a higher number like 90+ so that you're in the second heat and can watch the first heat and get a ride along with someone...maybe me in the first heat. You can go back and edit your number in the MyAutoEvents registry. It's common practice for us at solo events to have the new guys in the second heat just for the reason of getting the feel before you actually drive the course. Be sure to be there no later than 9:00am so you can get tech, registered and walk the course a few times so that you don't get lost on your first couple runs. thanks for the advise Gabe, ill get on that! I want you to show me whats up! i drove by as everybody was walking the course. you fellas looked freezing so i just kept driving haha. WUSS...it wasn't that bad. You should have atleast stopped by and said hello. Me and a couple of friends came and watched it was cold but wasnt terrible the wind was the worst. It was sweet ill have to enter in one before I leave for PA. According to SCCA rules, I don't think the GTR can even compete. The Stock Class rules state that the GTR is ineligible to compete at the SOLO level. 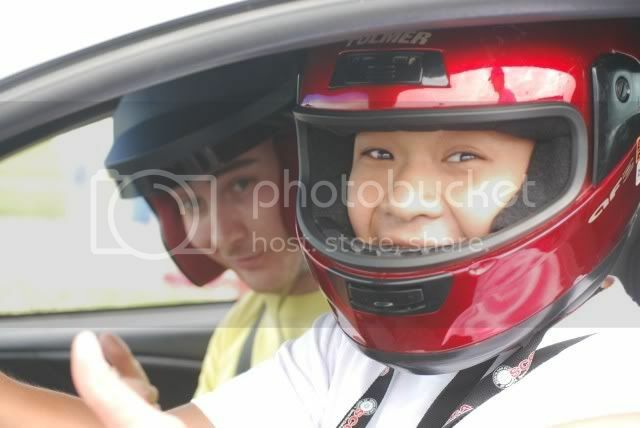 BTW that awesome looking fella in the red helmet next to Gabe is none other than me!